This is a really high spec chair with every adjustment that we can think of! Gas assisted seat height adjustment – 150kg. Advanced synchro-tilt mechanism with travel limiter. Seat depth adjustment – 60mm. Adjustable lumbar support for the bottom of your back. Adjustable thoracic support for the top of your back. 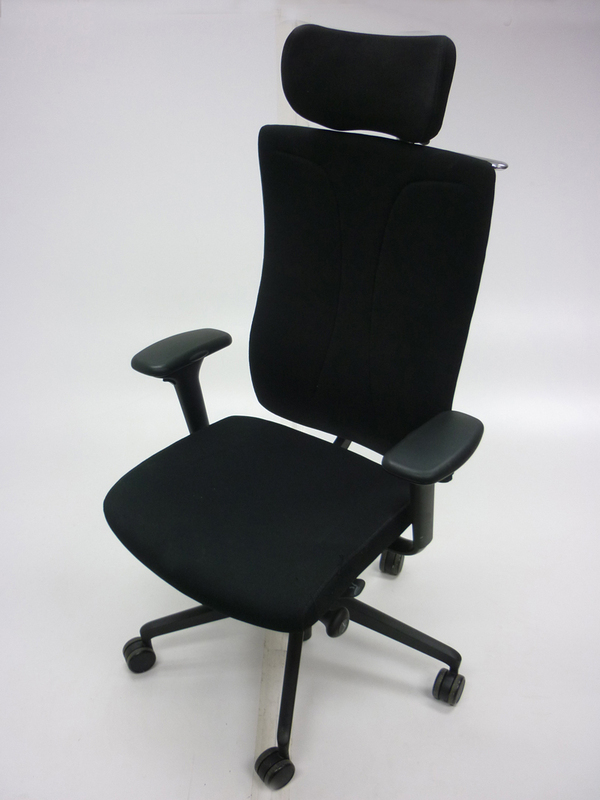 Height/width adjustable arms with multi-function arm rests.